With a name like this, there’s only one subject that Fat Lady Sings could be about, and that’s the opera. 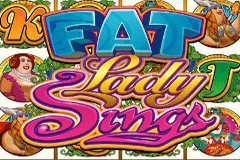 Plus-sized women are all over this pokie from Microgaming, along with wilds, scatters a gamble round, and a bonus game that sees not just free spins, but also multipliers and bonus wins on top. Surely enough to make anyone sing, especially when 30 free spins and a 5x multiplier to add some serious winnings to a player’s bankroll, so whether you love the opera or really don’t get it, this colourful pokie could be worth a spin or two. This game has an ornate design, making it look like one of the famous opera houses of Europe, with gold embellishments surrounding the 5 reels, which have a total of 25 paylines to bet on. Symbols are equally lavish, although there are only 7 basic ones, with 4 of them being the playing card J, Q, K and A, each of which is set against a leafy background. The Fat Ladies are dressed in full costume, like a Victorian-style outfit, traditional Japanese and a striking Viking get-up. They are drawn in a slightly old-fashioned cartoon way that may not be the last word in sophistication but looks fun anyway. The payout table details the number of coins wagered per line that will be paid out for each winning combination of symbols, with anything from 5x to 100x when the J lands on 3 to 5 positions on a line, running from the left side. The value of wins goes up with different symbols, and the opera singers pay from 15 to 300 coins for the Victorian style one, up to the Viking who carries a value of 50x to 1000x the coin per line amount. To determine how much to bet on each spin, players simply use the control panel below the reels, setting the value of each coin from 0.01 to 0.25, the number of coins per line from 1 to 5, and the number of lines from 1 to all 25 for a maximum wager of 125.00 a go. Players who just want to try this pokie out could even play with just a single line activated, which means that most winning combinations won’t count other than the ones that land on that line, or any created by the scatter symbol. That scatter symbol is one of the treats that our ladies have in store for players when it appears in at least 3 spots at once, with no need to be across any particular line at all. 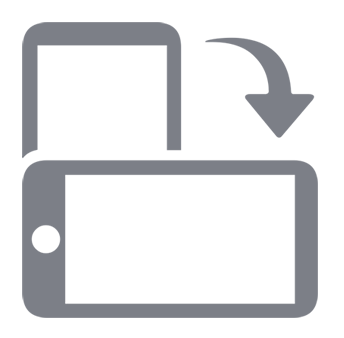 It’s the image of the crying and laughing masks, which will have players crying when they find out that it has no value in the base game, but laughing once the free spins round is triggered. These free spins are quite a treat, with a little sequence playing out before they start, where players pick the pitch for one of the beauties to sing, breaking glasses to reveal a number of free games that will then play out. Up to 30 spins can be unveiled, while another of our chunky ladies breaks vases to uncover a multiplier of up to 5x that will be in effect throughout them and lastly, the Viking will sing her way to a bonus prize of up to 120x the bet amount that’s thrown in on top. Extra stacked wilds and scatter wins of up to 100x are also saved for this part of the game, so it’s a real highlight, although the pay-off is that scatter symbols don’t have any value in the base game. Wild symbols, which are simply the game logo, are also found in the base game, and landing a line of these pays out the biggest wins, with 3000x the coin bet per line awarded. Of course it also works in the usual way, acting as all except the scatter to help complete winning lines of symbols. Is Fat Lady Sings worthy of a standing ovation, or is it just a pain in the aria? Although the overall style is colourful enough, it doesn’t use the most sophisticated of graphics, but other than this, it’s a fun game with an especially rewarding bonus round. It’s also not the most politically-correct name for a pokie, but that doesn’t stop it being enjoyable for most of us, and as it comes from Microgaming, it’s guaranteed to be fair and reliable.